Yesterday, I reviewed the editorial in the journal Obstetrics and Gynecology that argues ethical principles encourage obstetrician participation in homebirth. Today, as promised, I’ll address the companion paper that argues the opposite. In Obstetric Ethics: An Essential Dimension of Planned Home Birth, Drs. Chervenak, McCullough and Arabin, invoke basic principles of medical ethics to argue that the increased mortality risk of homebirth means that obstetricians are ethically mandated not to participate in homebirth. The same ethical principles further obligate obstetricians to counsel women against having a homebirth. The obstetrician has both autonomy-based and beneficence-based obligations to the pregnant patient and beneficence-based obligations to the fetal patient.Respect for the pregnant woman’s autonomy obligates the obstetrician to empower her autonomy in the informed consent process by providing her with clinically relevant information about her pregnancy and the medically reasonable alternatives for its management. Obstetricians serve as important advocates of the pregnant woman’s autonomy. Making judgments about what is medically reasonable is beneficence-based. 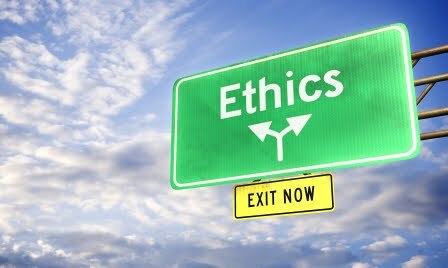 This ethical principle obligates the obstetrician to seek the greater balance of clinical goods over clinical harms for both the pregnant and fetal patient, as these goods and harms are understood from an evidence-based, clinical perspective. Why are the authors on shaky ground? Because they present autonomy and fetal beneficence as equivalent and they are not. In almost every situation,the autonomy of the pregnant patient trumps fetal beneficence. A pregnant women is free to refuse any and all medical interventions that may save the life of her fetus as long as she understands and accepts the increased risk of death. Pregnant women also have beneficence-based obligations to the fetal patient and the child it is expected to become, to take reasonable clinical risks. When a clinical intervention is reliably expected to benefit the fetal patient and child it is expected to become and there are not unreasonable clinical risks to the pregnant woman, she is ethically obligated to authorize and accept such intervention. In referencing this claim, the authors the authors cite … themselves, specifically McCullough and Chervenak’s book Ethics in Obstetrics and Gynecology, published in 1994. They overstate their case. While many obstetricians and ethicists believe that maternal beneficence based obligations exist, it is far from clear what they entail. … Hospital birth does not create unreasonable risk to the pregnant woman but confers significant clinical benefit on her. The pregnant woman therefore has a beneficence-based obligation to the child the fetal patient will soon become to accept these clinical risks. That claim is simply untrue. If a woman chooses to smoke during pregnancy, she is legally and ethically entitled to do so, even though smoking has a demonstrable deleterious effect on fetal health. Similarly, if a woman chooses to give birth outside a hospital,she is legally and ethically entitled to do so, even though homebirth has a demonstrable increased risk of perinatal mortality. Does that mean that obstetricians are ethically mandated to participate homebirth? No, it does not, for reasons that have nothing to do with beneficence based obligations. Maternal autonomy is a negative right; it is the right to be left alone. In contrast, there is no positive right to a homebirth. While we cannot prevent a mother from choosing homebirth, there is no ethical obligation to facilitate homebirth, and certainly there is no ethical obligation on the part of the obstetrician to participate in a situation that increases medical risk to the neonate and very likely to the mother as well. Acknowledging that a pregnant woman has the right to smoke during pregnancy (a negative right) does not mean that an obstetrician is obligated to give her cigarettes (a positive right). Acknowledging that a pregnant woman has the right to give birth in her own home does not mean that an obstetrician is obligated to attend, to back up her midwife or to participate in any way. Chervenak et al. (as well as the authors of the companion paper) fail to address what is, in my judgment, the real ethical issue for obstetricians posed by homebirth: women definitely have the right to choose the increased risk of perinatal death inherent in planned homebirth, but that’s not what they are choosing. Most women choosing homebirth are grossly misinformed about the risks. In other words, they are not giving informed consent. ← A debate: Should obstetricians participate in homebirth?